The lovely people at escentual recently sent me this foundation to give a try and I am SO impressed! hadn’t heard of Vichy before, and was surprised to find it is a fairly affordable brand – the packaging and name certainly fooled me into thinking it was a lot more expensive than it is. As I said, I am super impressed by this foundation. I was a bit sceptial that the shade wouldn’t suit me, normally the shade Ivory in most drugstore foundations, but I was wrong! It it possibly the best suiting shade I’ve ever had. It’s a fairly thin, liquidy consistency but you don’t need a lot at all. Coverage is surprisingly good. It takes a while to warm up but once that is done it blends nicely into the skin. As for lasting power it does fairly well, with a layer of powder over the top it’ll last all day. I’ll definitely be reaching for this foundation a lot and might even consider repurchasing it. 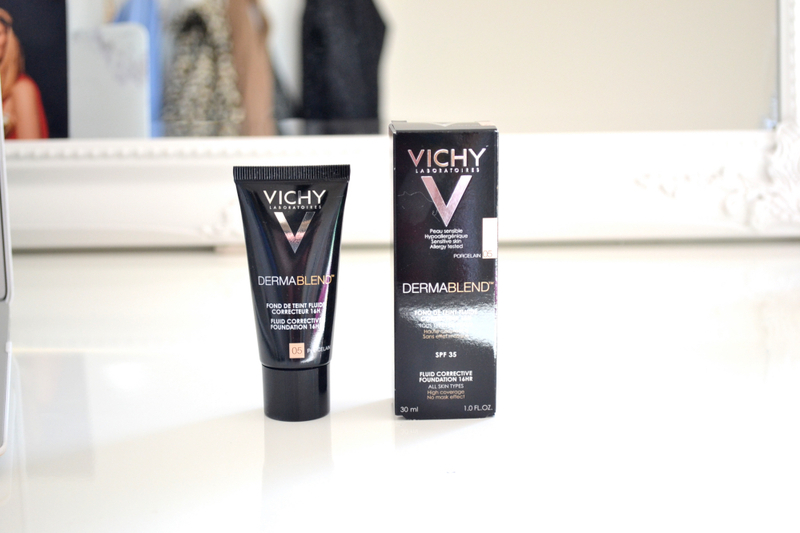 Have you ever tried any of Vichy’s products?